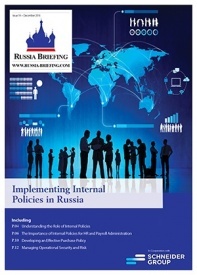 This issue of Russia Briefing discusses internal audit, covering topics including health and safety standards, compliance, HR standards, and security regulations. A couple of years ago, legislation introduced obligatory internal controls for each and every company operating in Russia. An internal audit is the ideal tool for checking whether a company has not only set up such rules, but also adheres to them in its daily business operation. 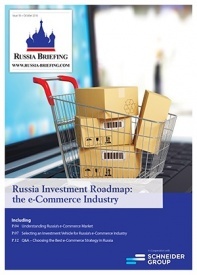 This issue of Russia Briefing shows how you set up your e-commerce business in Russia. E-Commerce in Russia has been posting double digit growth rates for several years, and this trend is set to continue for cross-border e-commerce. This grants good opportunities for Western manufacturers seeking a simple and fast market entry into Russia and its neighboring countries. This issue of Russia Briefing shows how you can benefit from excellent conditions for IT-projects in Russian speaking countries. In fact, it is not only Russia that is trying hard to attract more investors for localization and production set up in order to create new jobs, Belarus and Ukraine are doing the same. All three countries are taking different approaches and, so far, have had limited success. However, the IT-industry can be a real job creation machine and all involved can benefit. 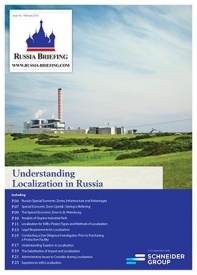 In this issue of Russia Briefing we discuss the advantages of localization in Russia for foreign companies, and provide an analysis of Russia’s industrial parks and Special Economic Zones (SEZs). We also feature an article from the General Director of ZENTIS Russia on their experience of producing jam, marmalade and other sweets in the country. 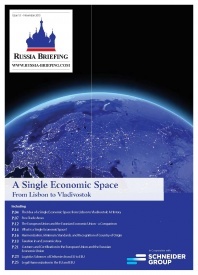 This issue of Russia Briefing introduces the idea of a single economic space between Lisbon and Vladivostok. It presents the history of this concept as well as the potential benefits if it had been realized. 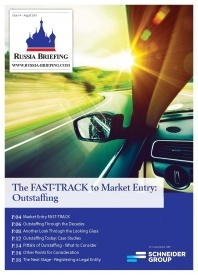 This issue of Russia Briefing gives advice on entering the Russian market including means of setting up a business and dealing with barriers of entry. For a foreign company entering a CIS country, for instance the barriers for a typical business setup, including registration of a legal entity, representative office or branch office, can be quite significant both in terms of bureaucracy and time spent. 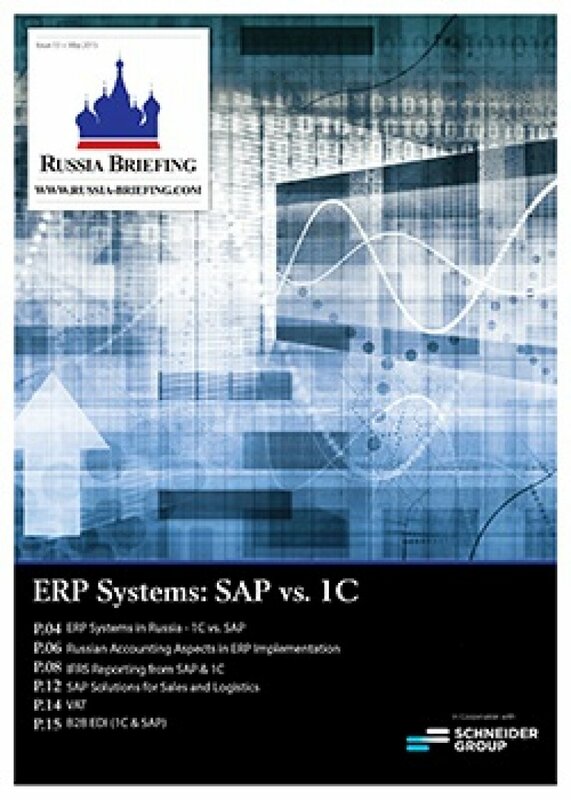 This issue of Russia Briefing Magazine attempts to help businesses decide on the best ERP system for their organization. In particular, we weigh the pros and cons of choosing either SAP or the Russian accounting program “1C”. Next, we guide you through the implementation of your ERP system, delving into the compliance rules and conceptual matters of the two accounting and reporting systems. Then we cover such specifics as IFRS reporting, sales and distribution, VAT, and finally, electronic document interchange. 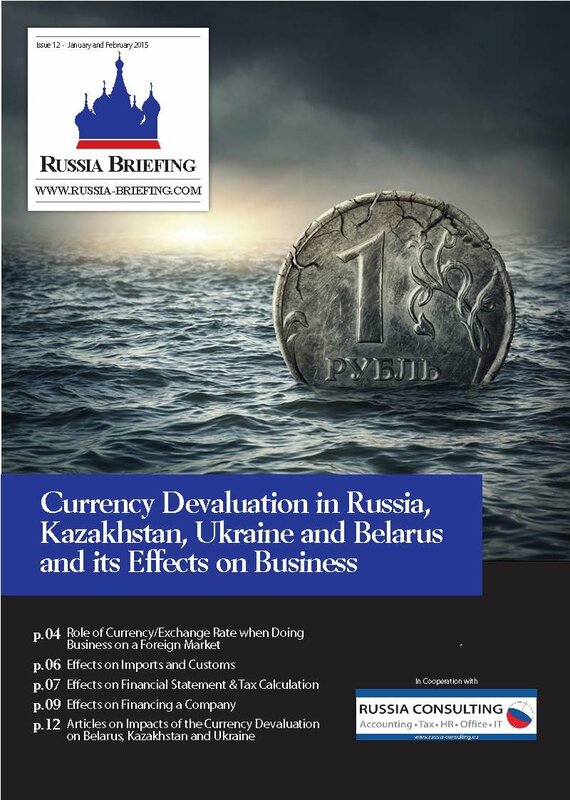 This issue of Russia Briefing Magazine attempts to clarify the recent currency devaluation taking place in Russia and its effects on business. 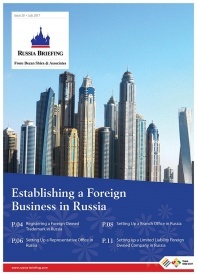 Russia Briefing first looks at the role of currency and exchange rate for businesses operating in a foreign market. It then looks at the effect currency devaluation has on imports and customs; financial statements and tax calculations; and on financing a company. Finally, this issue looks at the impact the currency devaluation is having on Belarus, Kazakhstan, and Ukraine. This issue of Russia Briefing Magazine attempts to clarify the recent sanctions being imposed by the West onto Russia and a number of its citizens and other legal entities. 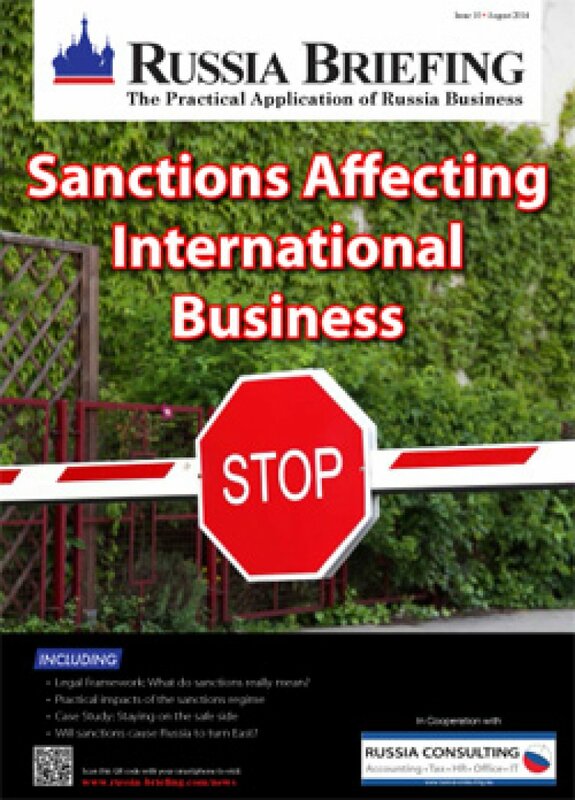 This issue first looks at what the sanctions actually consist of, as well as whom and what could be affected. It then looks into the practical implications of the sanctions and discusses if sanctions are really the best political tool for governments to use. Finally, it is necessary to discuss what reaction Russia will take as a result of the sanctions, will it turn East in search of new economic partners?